Last week it was reported that the Israeli Navy had photos of IHH terrorists on the Mavi Marmara wielding weapons. 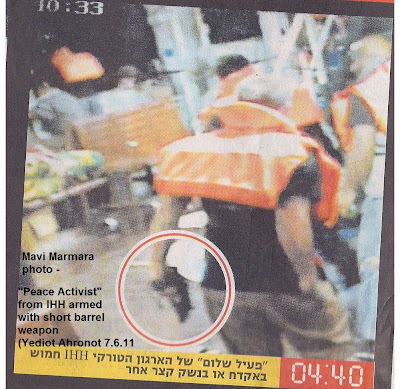 Photos recently obtained by the Navy show a weapon hanging off the shoulder of one of the IHH members. 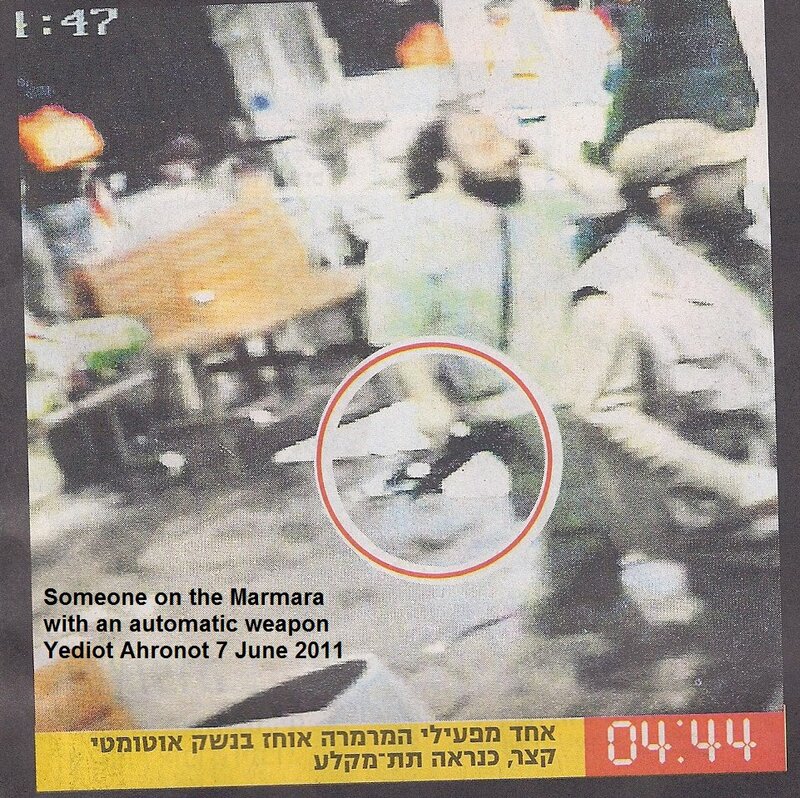 Another photo shows a gun. 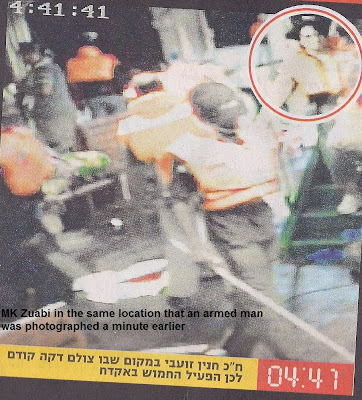 It is as yet unclear who took the photos. One of the images allegedly shows MK Hanin Zoabi, who took part in the flotilla, standing next to an armed activist. Navy commandos who took part in the raid later testified that the IHH men had at least two firearms and at least one of them was used to fire at the soldiers immediately after they descended on the ship. 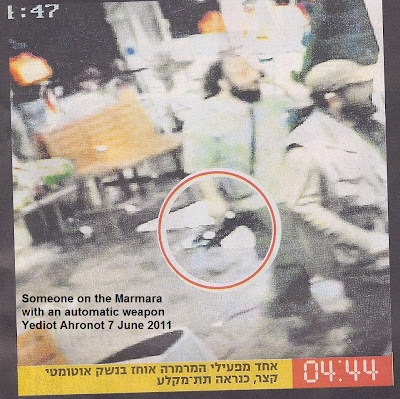 One of the commandos was hurt by a 9 mm bullet not used by the IDF. Navy sources could not explain why the photos have only recently been received.